Don't sit on the sidelines - join us ! 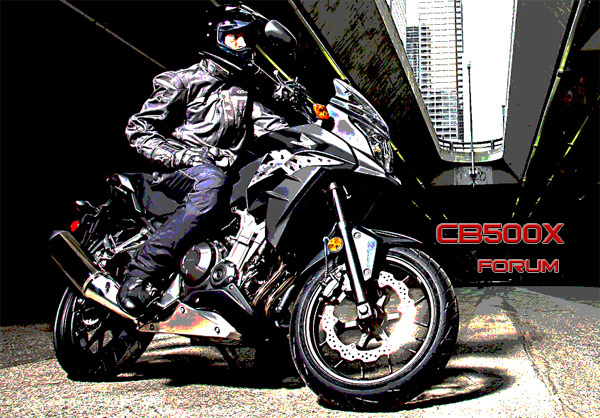 The forum is dedicated to Honda's new CB500X that was released back in May 2013. This site is the Number one Owners Club for the popular mid sized adventure bike from Honda. New owners can discuss all aspects of the bike in the 'Forum' with other like minded riders and enthusiasts. There's also have a 'Gallery' where members can show off their bikes and share pictures and other media. As an International site we welcome new members from all over the world. Everyone is more than welcome to join up - it's free to join so Register now ! OP (options plug) connector confusion,lets resolve it.